WHY: For whatever reason, I just can't get it out of my head that Alvvays is the Camera Obscura of Canada. 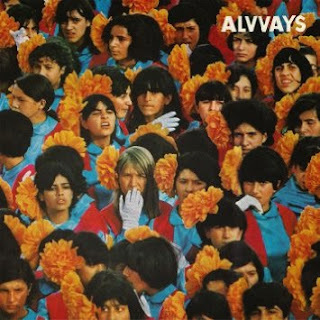 On this Chad VanGaalen-produced self-titled record, Alvvays proceeds to win hearts, one song at a time. I for one haven't been able to break up with the adorable, wistful "Archie, Marry Me," which probably ranks as my favorite (though that's a tough call). In any event, the perfectly lo-fi, cool as heck production and dynamite, fuzzy pop songs make this a must-have record. My jams: "Adult Diversion," "Archie, Marry Me," "Ones Who Love You," "Next of Kin," "Party Police," "The Agency Group," "Dives," "Atop a Cake"